Okay, before you get too excited, you should know that while these are most definitely new photos from the set of Star Wars: Episode 8, they don’t reveal anything mind-blowing. They’re just a couple of great photos shared by Rian Johnson, featuring a familiar piece of aircraft, a console and a mysterious First Order operative. The director released the photos to celebrate the halfway point in production, which means we’re that much closer to learning more about the upcoming sequel. Johnson shared the images on his Tumblr page, where he previously posted a set photo teasing the return of Lupita Nyong’o’s Maz Kanata. 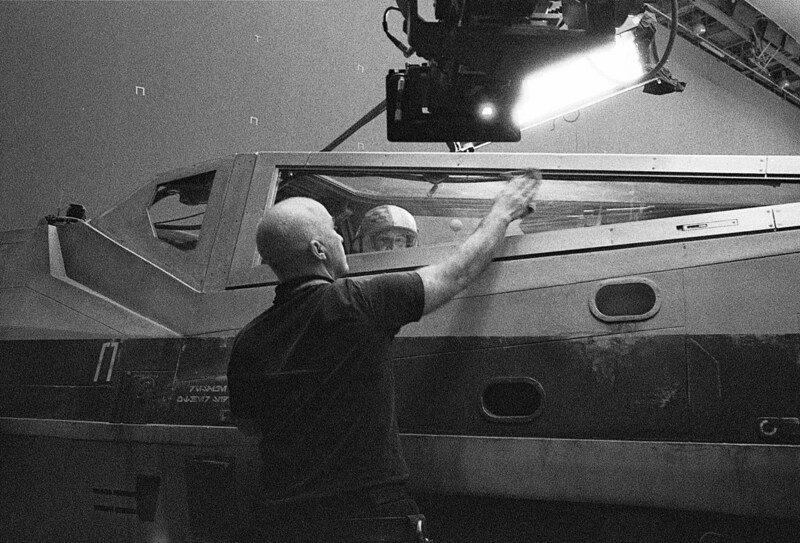 In the first photo, we see a Resistance X-Wing with an unknown pilot inside, while a crew member wipes down the window. It’s hard to see who’s inside — it might be an extra, or it could be Noah Segan, who appeared in Johnson’s previous films Brick and Looper, and who has been quite coy about his role in Episode 8. 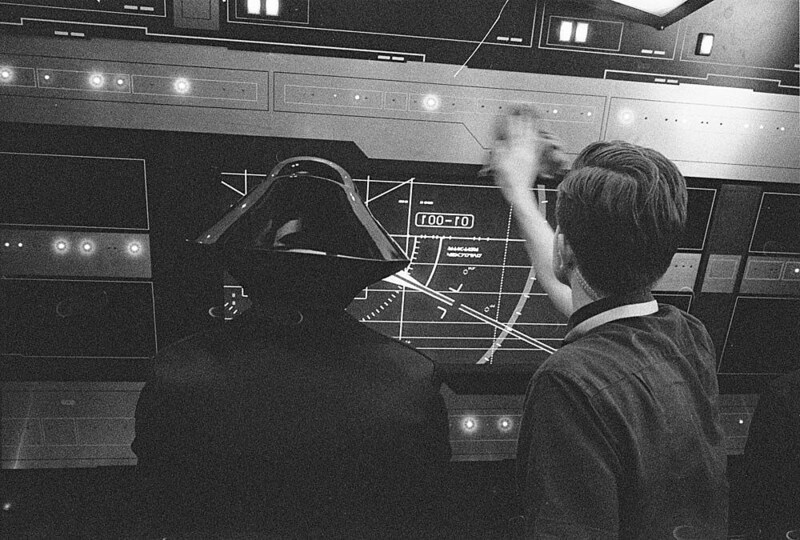 Again, the photos aren’t going to blow the minds of those fans who are clamoring for a sneak peek at Episode 8, but they are great photos that have an appropriately retro vibe about them. In addition to directing, Johnson wrote the screenplay for Episode 8, which should be revealing its official title sooner rather than later. The Force Awakens stars Daisy Ridley, John Boyega, Oscar Isaac, Adam Driver, Mark Hamill, Carrie Fisher and Gwendoline Christie are set to return for the sequel, which also features Benicio Del Toro. Episode 8 hits theaters on December 15, 2017.